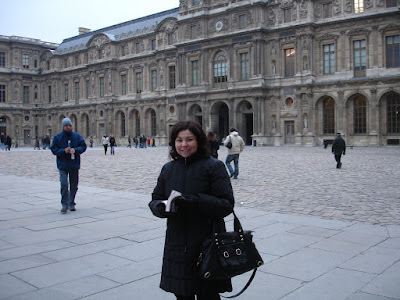 We have a total of four full days to spend in Paris exploring the city, museums and the food. It is my first time there and Corinne has not been in 20+ years. 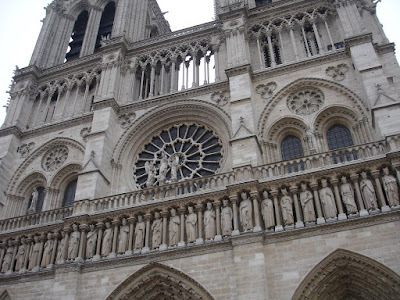 We are expecting nice weather as all of the resources on the web say that Paris should grace us with bright sunshine and temperatures in the 40's. 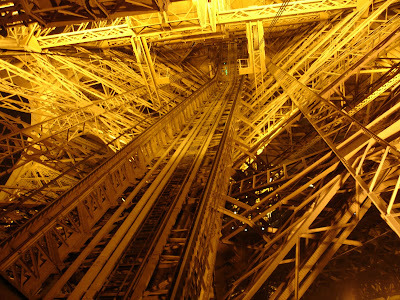 Our arrival on Christmas day left some uncertainty because we didn't know what would be open or closed. Either way we plan to wing it and just make due. 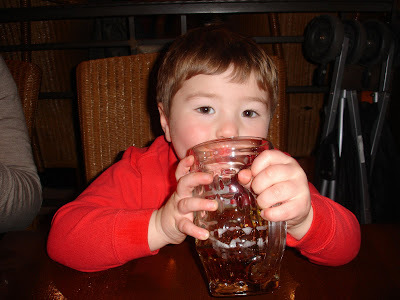 Can it be done with an almost 3 year old ??? You'll see. 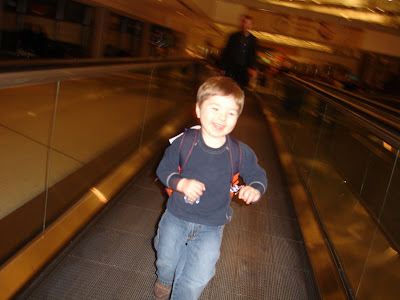 Elliot has not been away in a few months now so he was super excited to get back on a plane. 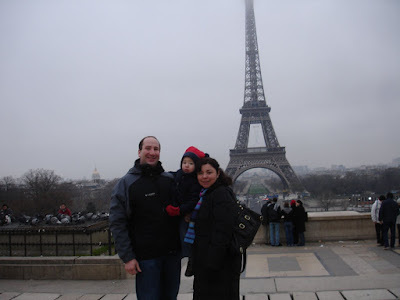 It is also his first time to France so he is excited to try out all of the French that he has been practicing for the past few months. The 6+ hour flight seemed very short since we all were able to sleep a few hours on the plane. 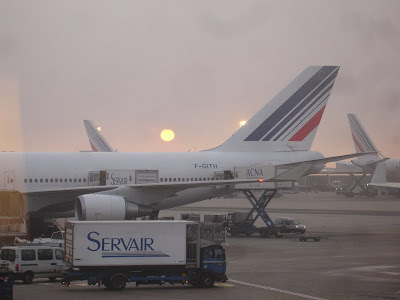 When we arrived, Paris was very foggy and dark at 8:00 in the morning. First we thought we must have set our watches for the wrong time but we soon learned that in the winter the sun does not rise until almost 9:00 am. 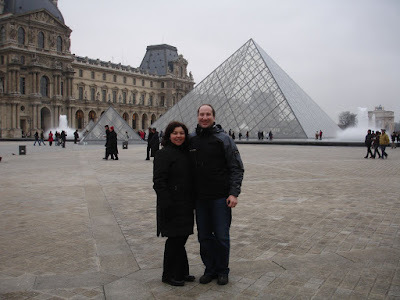 After a quick exit from the airport we made it into Paris and rested a little before heading out. 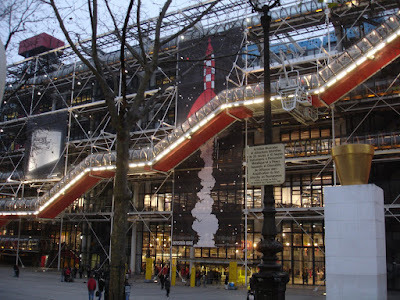 The Pompidou museum was the only museum open on Christmas so we started our adventure there. 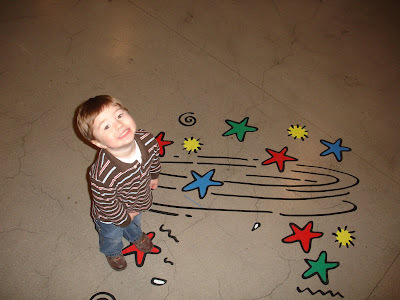 Elliot loved the modern architecture, art and most of all, the escalator tubes which linked the different levels. There was a Tintin exhibit and he recognized some of the pictures from his room. It remained overcast throughout the day and the fog started to return at night. 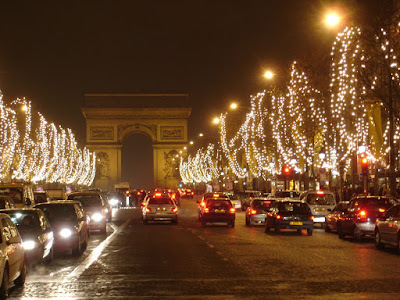 The Champs-Elysees was beautifully lit! Where's the sun!! 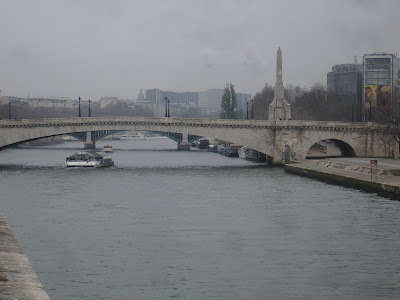 Our second day we planned to head up to the Eiffel Tower but it was still cloudy and a little foggy so we quickly changed course and took a cruise up the Seine on the Bateaux Parisien instead. 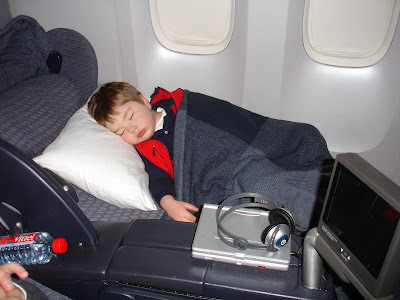 Elliot loved the trip as we were able to sit right behind the captain. 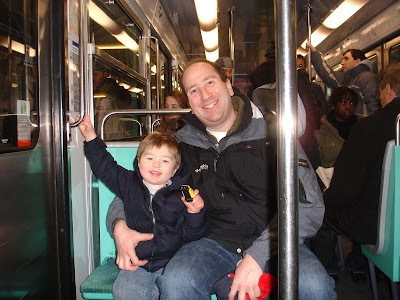 Elliot decided to take a nap after the boat ride so we headed over to the Musee D'Orsay. 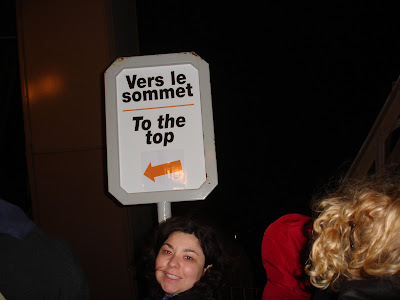 There was at least an hour wait, outside in the cold, to get into the museum but we learned that you can go through a special entrance with children and bypass the entire line. 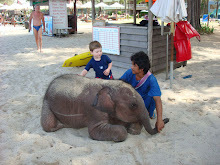 Who says traveling with children isn't a good idea!!! 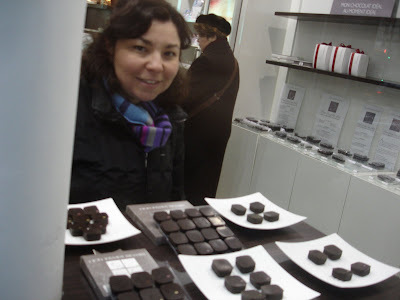 A quick stop at La Maison du Chocolat. Delicieux. 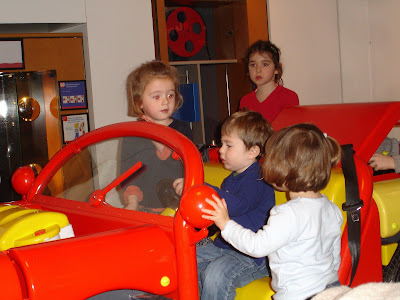 Today we went to the Cite des Enfants where they had a great interactive play area for 3-5 year olds. 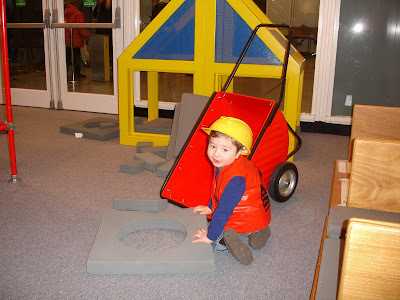 Elliot was able to be a builder & mechanic. How much better can it get. 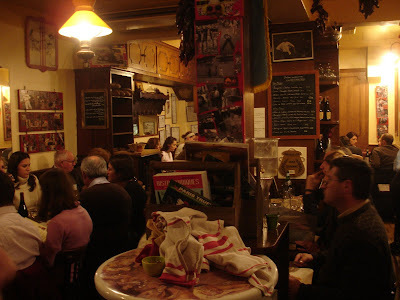 After a busy morning, we had a great lunch at Chez Paul in Montparnasse. 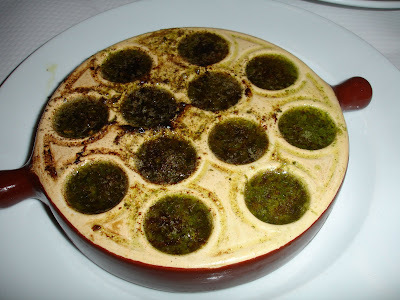 Traditional french bistro. 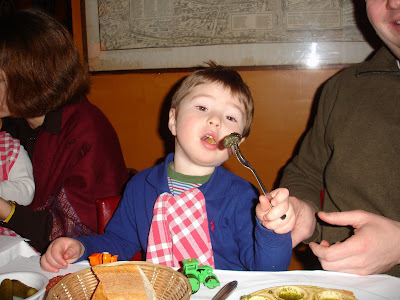 Elliot loved the Escargot and could not get enough. Like father, like son! 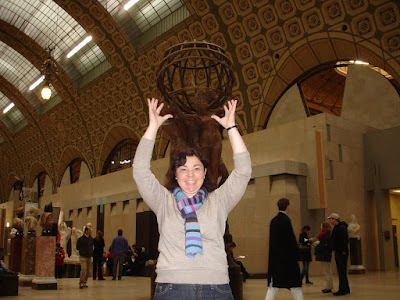 Nap time for Elliot again, so it was time to hit the Louvre. Once again we used the child-in-the-stroller trick to bypass another huge line and we walked right in. It was impossible to see the highlights in a few hours, but we did a good job. 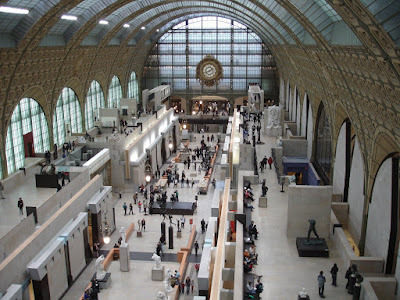 The museum is actually larger than our town... Really! 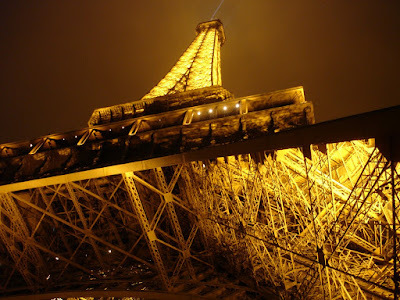 Finally, the fog broke so it was time to head for the Eiffel Tower. It was great at night, and we left just as they were closing. 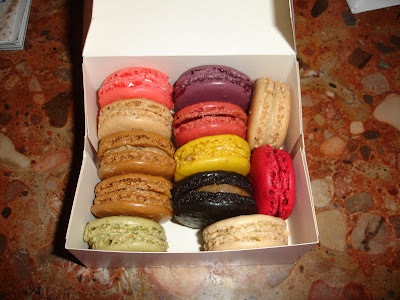 Breakfast: We decided to take a break from our usual breakfast of hot chocolate and croissants so we got some macaroons from Laduree. Corinne has no idea why her parents never got these for her because they are amazing. Is it really possible that they don't know about them? The place has been open since 1862 for good reason. 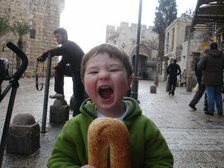 Do we need to mention that Elliot loved the idea of cookies for breakfast? 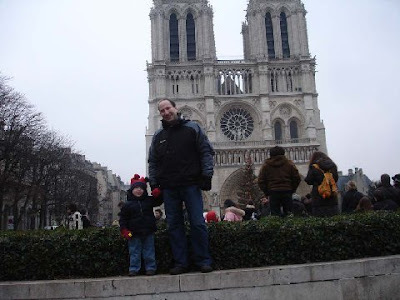 The next morning was spent at Notre Dame Cathedral. Very nice, but we weren't impressed. 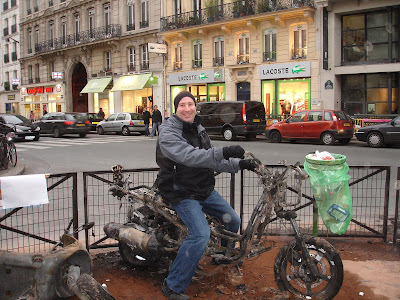 Guide book publishers and Parisians don't even know about the secret playground in the back. 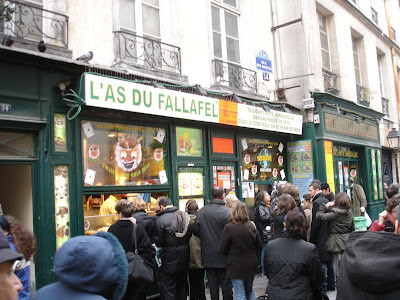 Not exactly French food, but we sought out this falafel stand in Le Marais on the Rue des Rosiers. This guy is the "Ace of Falafel" and it really is the best ever!! Afterwards a train ride back to the hotel. We definitely got our money's worth out of our weekly metro pass. Our last meal was the BEST!!! 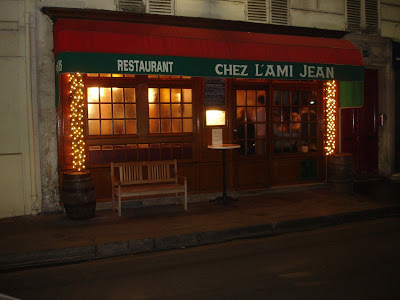 Chez L'Ami Jean was a terrific bistro that was recommended to us. Each dish was fantastic and they made a special fish and potato dish for Elliot. Finally! On our 5th day, the sun came out for the first time but it was 30 minutes before our flight was scheduled to depart. 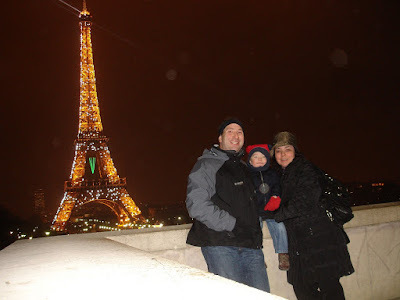 We left wanting more....and will definitely go back (probably when it is a little warmer). Overall, a fantastic trip. 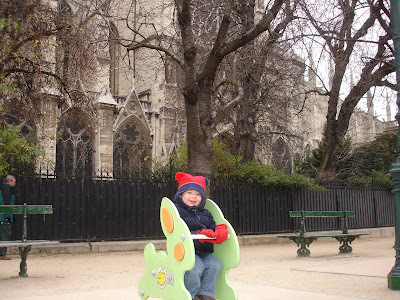 And yes, it is possible to do a 4 day trip to Paris with an almost 3 year old, but now it's time to rest! Our best wishes to you for a wonderful new year! Safe travels.